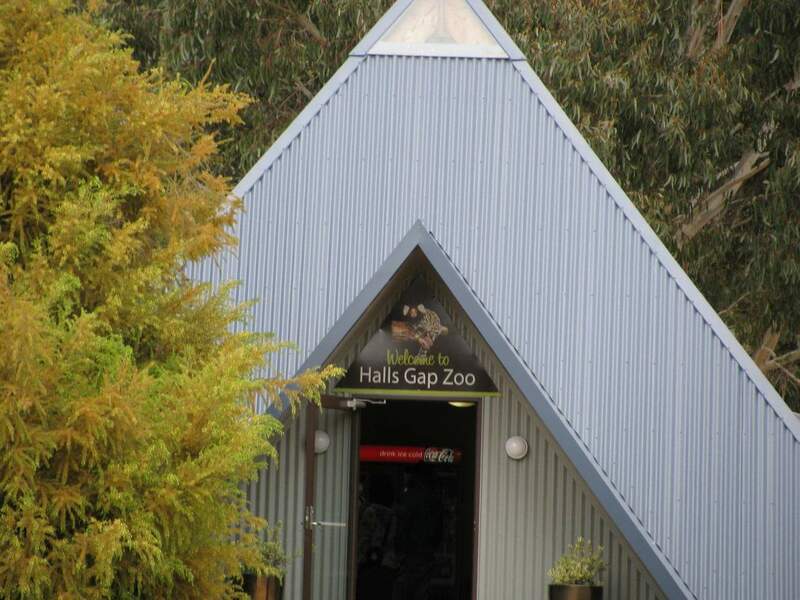 With a wide array of spectacular attractions and activity options, Halls Gap is an enchanting township in the impressive Grampians region. 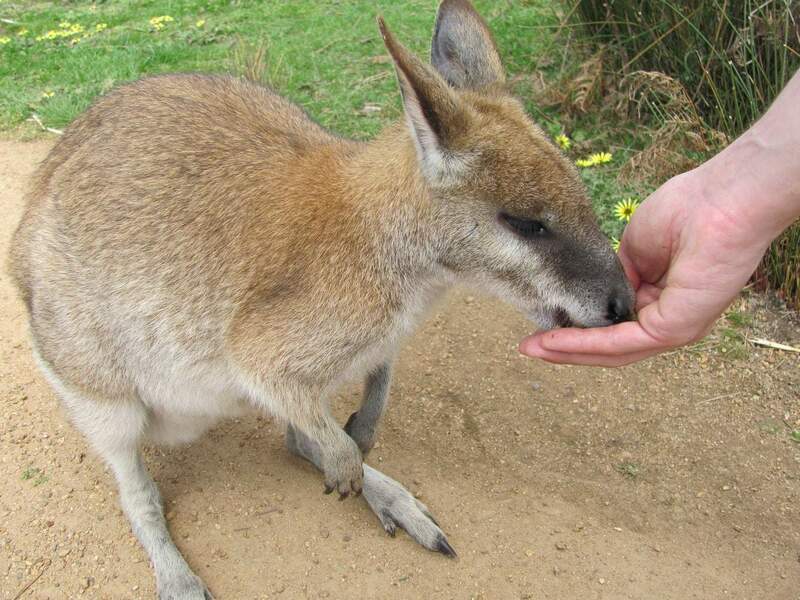 In addition to nature tours and day activities, Halls Gap boasts a wide array of man-made attractions including the Halls Gap Zoo. 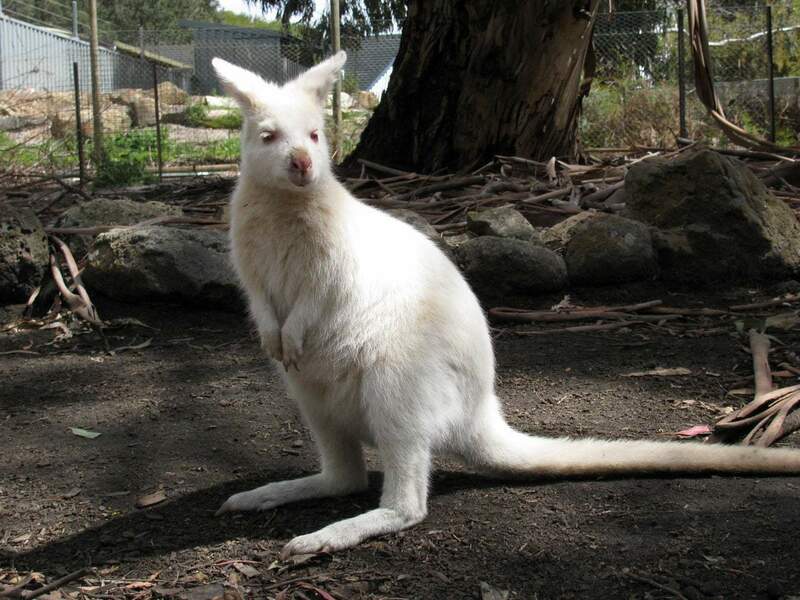 Make sure you complete your visit to the Grampians region by taking a day to visit the popular Halls Gap Zoo. 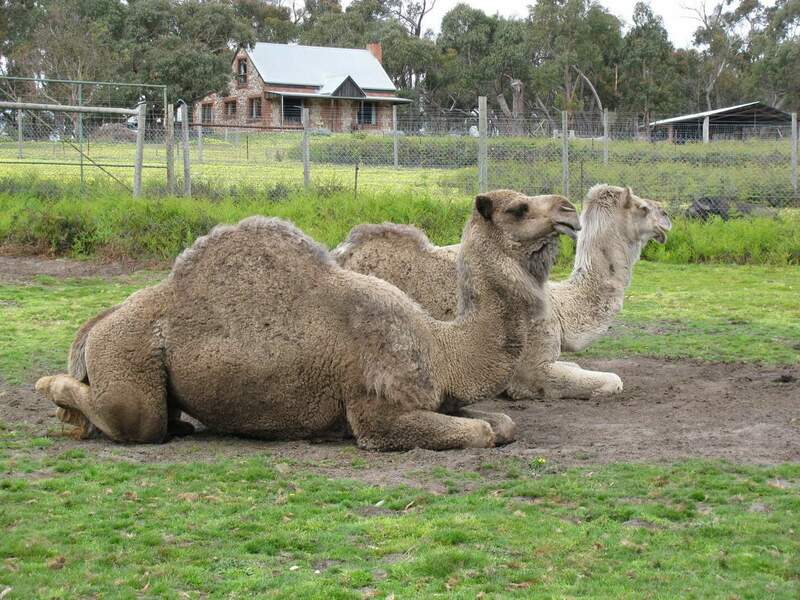 With an extensive range of Australian animals, this picturesque Zoo is certainly a place worth visiting. 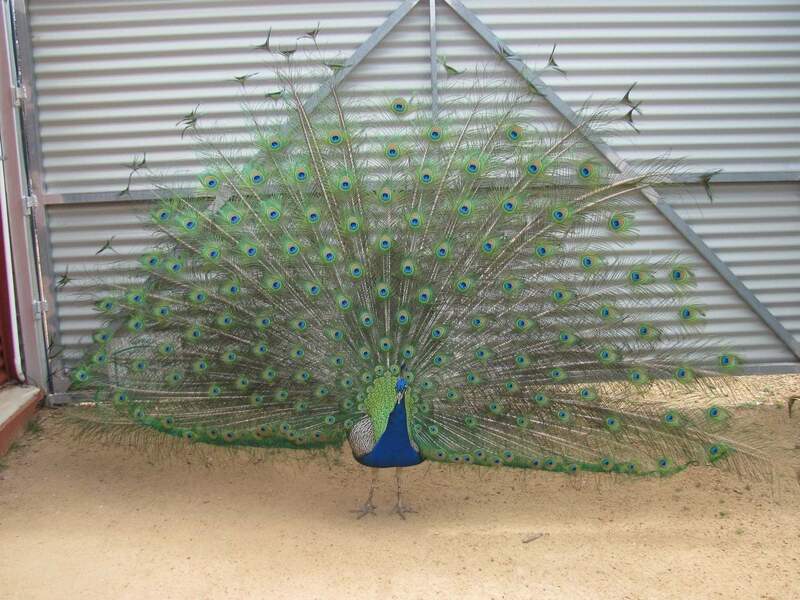 The Halls Gap Zoo is the most popular man-made attraction in the entire Grampians region. 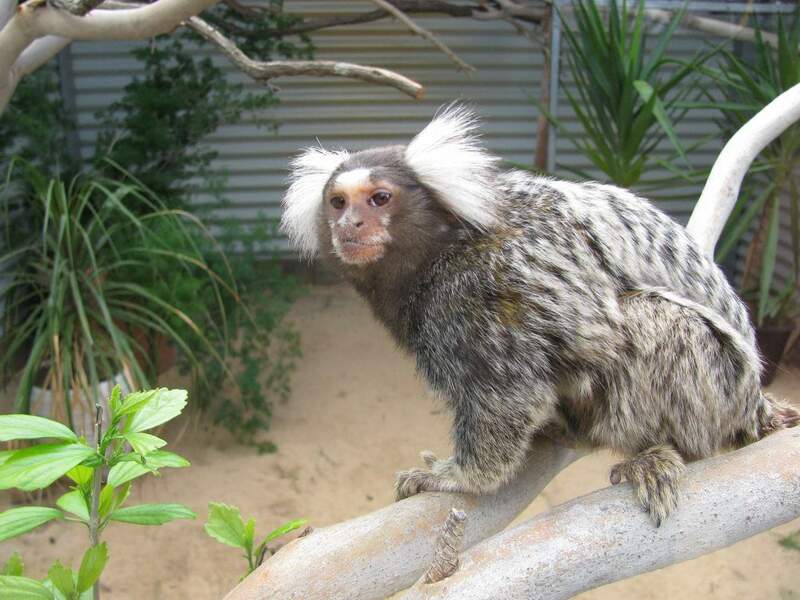 The Halls Gap Zoo is home to over 140 exotic and native animals, including pandas, kangaroos, bison, wombats, possums, meerkats, monkeys and a variety of snakes. 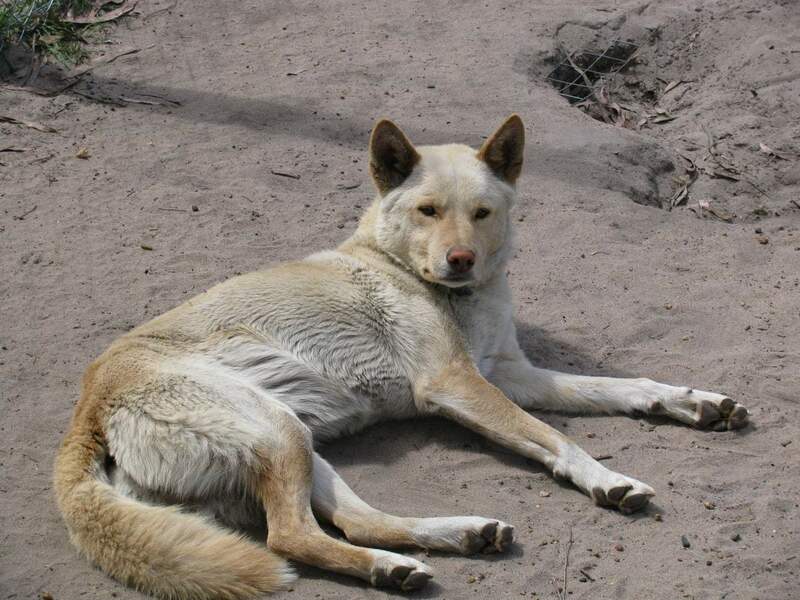 Also, check out the real Australian dingoes at this enchanting Zoo in the Grampians. 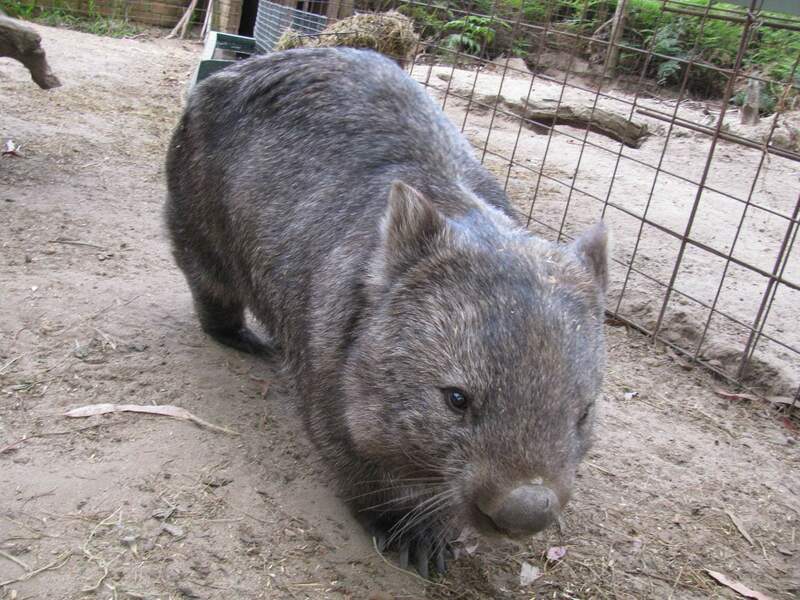 The Zoo also takes an active role in several breeding programs to save endangered species of Australian animals and you will find a number of volunteers working at Halls Gap Zoo to support and improve the Zoo. 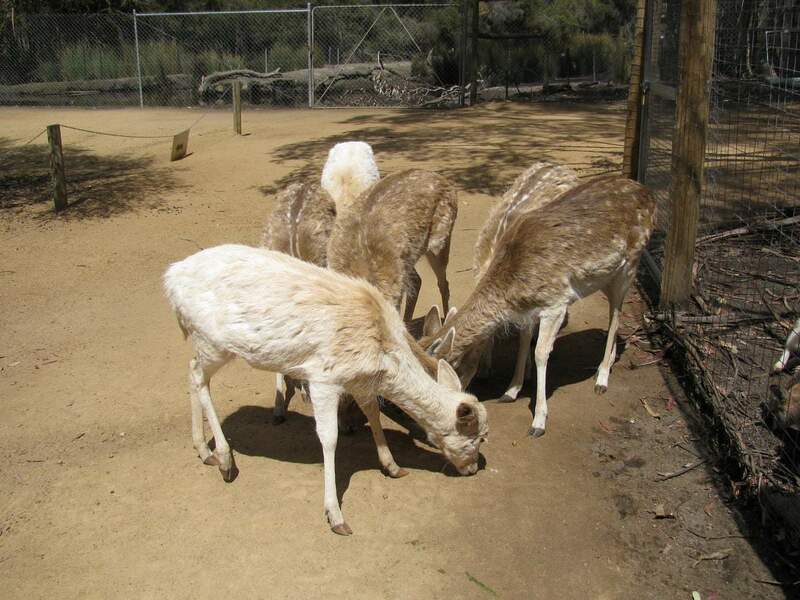 Visitors are also allowed to get close to some animals and get involved in activities such as animal feeding. 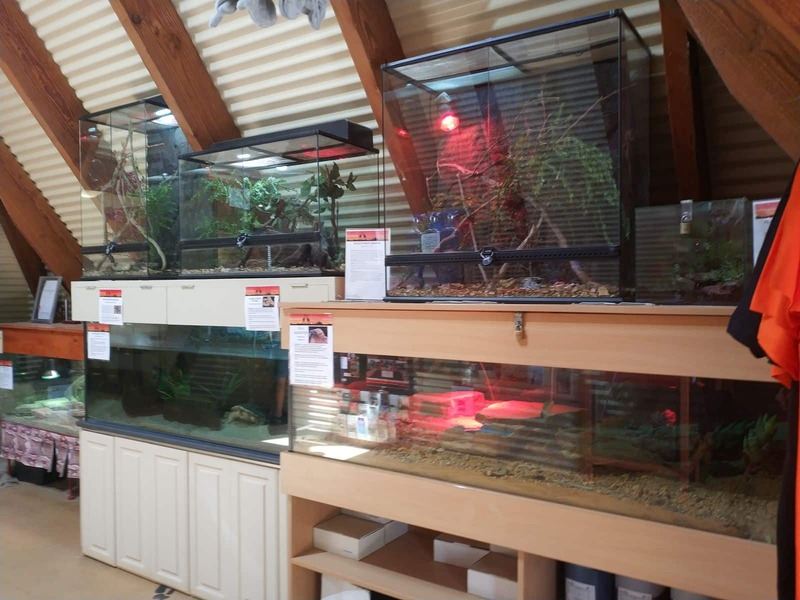 At certain times of the day, zoo-keepers will also bring out a range of different snakes for visitors to hold. Don’t be scared, these snakes are not venomous! 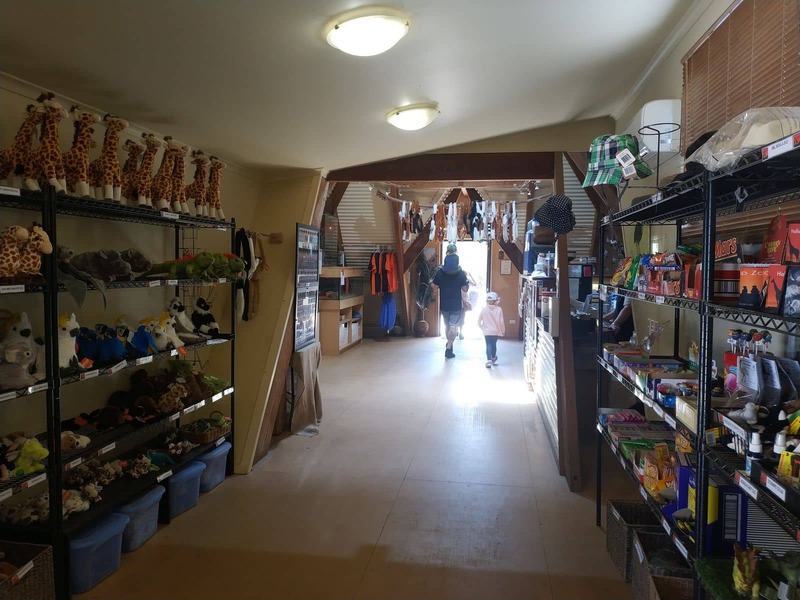 Visitors to the Zoo can also visit the exhibit centre, boasting an expansive display of fossils within the area. 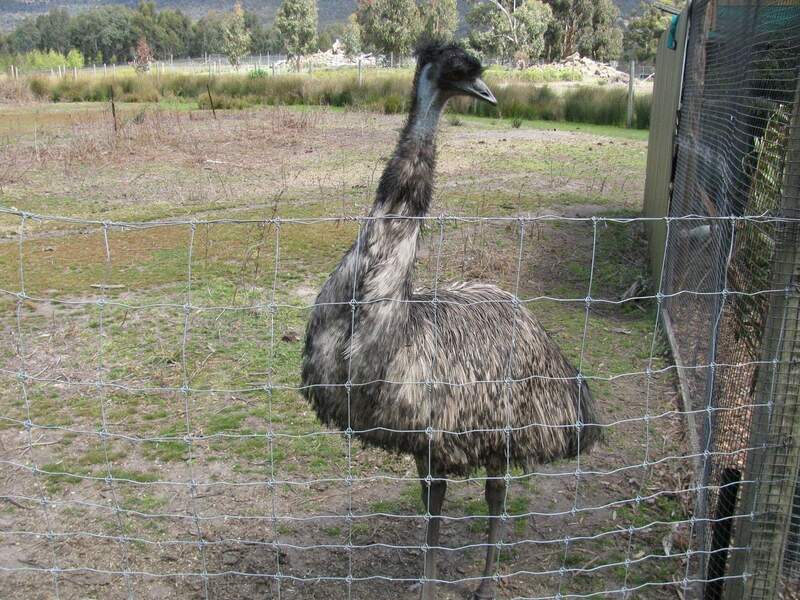 Near the Halls Gap Zoo, there are a wide number of specialty shops, cafes, restaurants and small eateries. 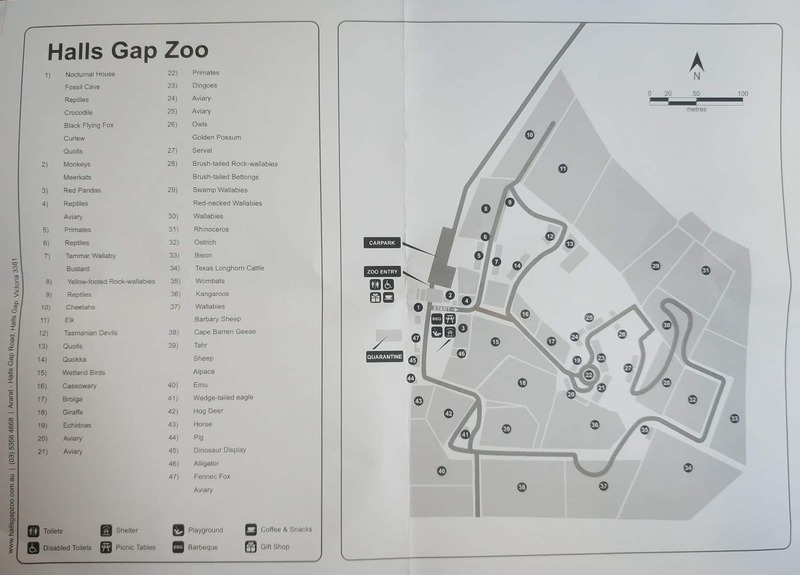 Also, a range of stylish accommodation options near the Zoo cater to the lodging needs of visitors to the region. 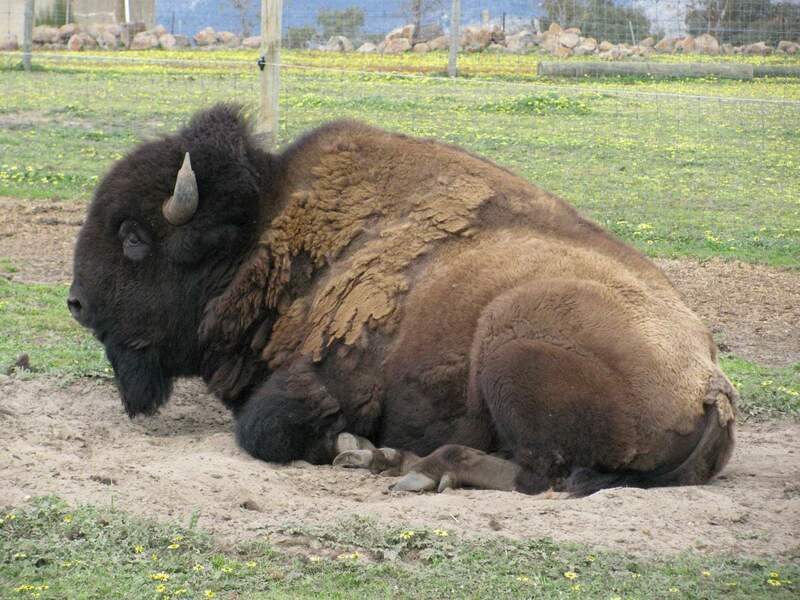 Hotels, motels and B&B’s feature heavily in Hall’s Gap, but if you are looking for something a little more private, try one of the lodges or private cabins. Most offer free Wi-Fi, breakfast, cable TV. 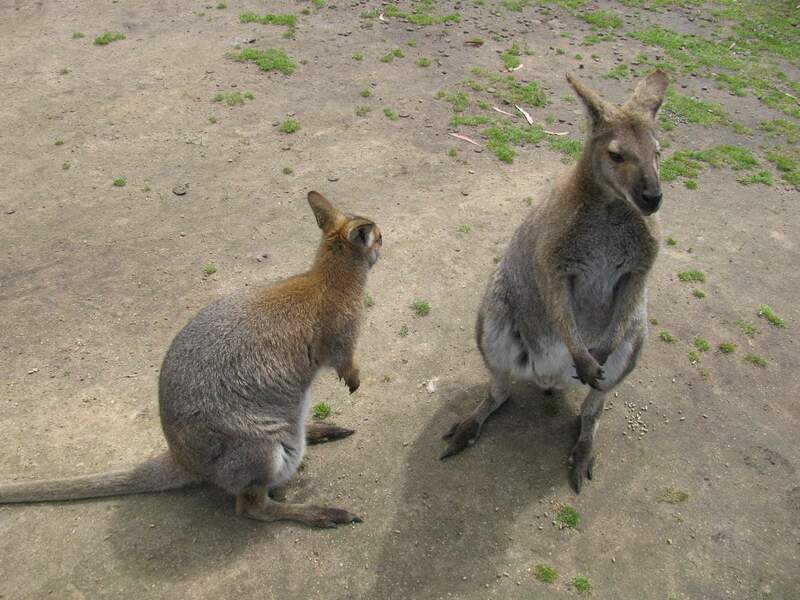 Sit and relax on your private verandah as you watch the Australian wildlife come alive at dusk. 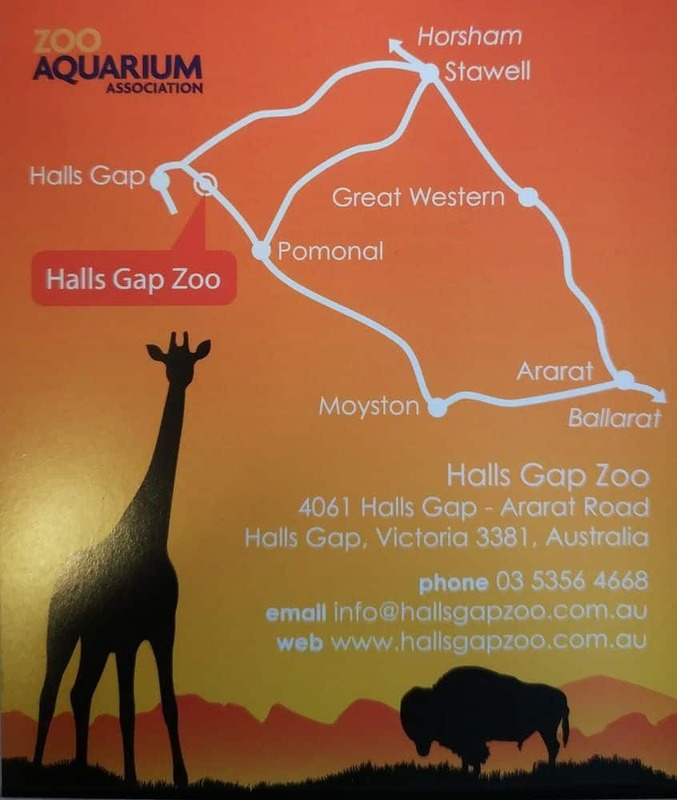 So if you are looking for a fun day out with the kids whilst visiting the Grampians region, the Halls Gap Zoo should sit atop your list. If I buy tickets for my family as Xmas gift,how long are the tickets viable for ?? 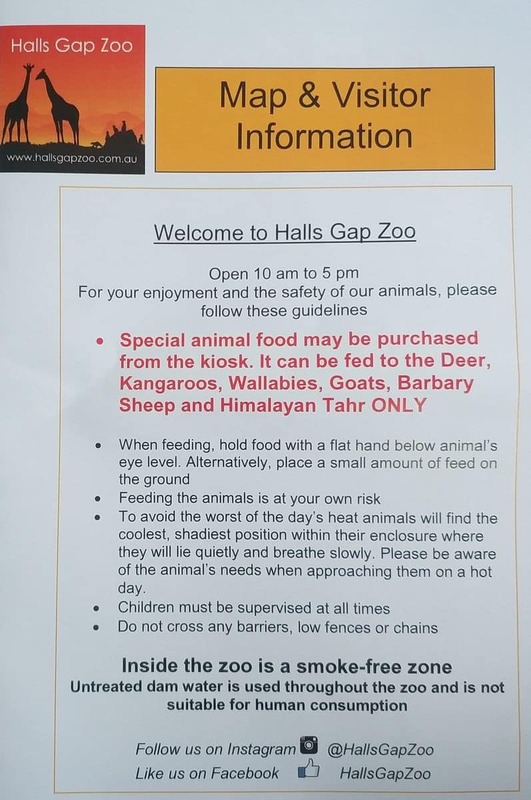 I have checked the Halls Gap Zoo website for both their tickets and gift vouchers, but I can’t see anything in the terms and conditions regarding expiry dates. 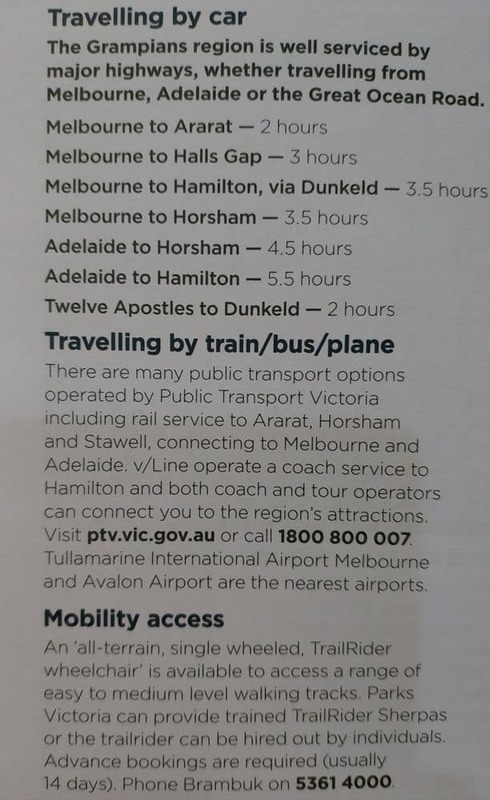 I would suggest giving them a call on (03) 5356 4668 to get some clarification. 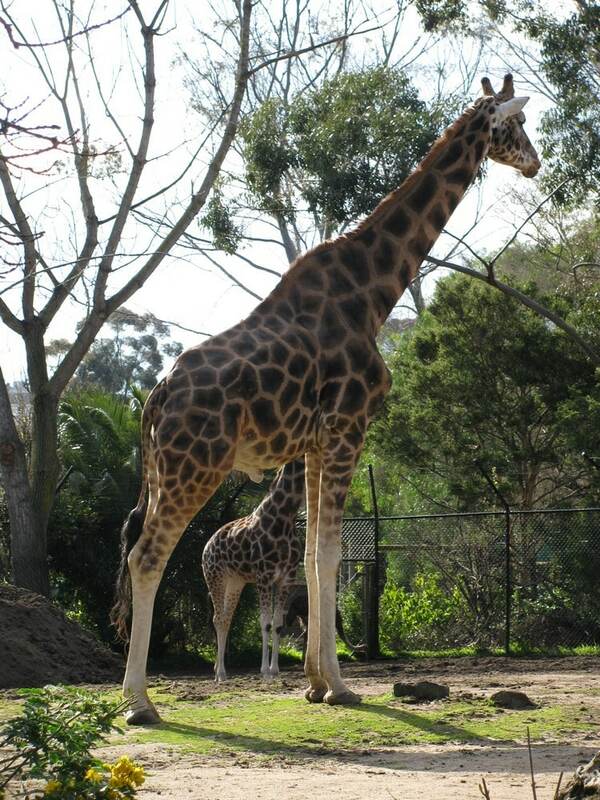 Can you feed the giraffes, if so how much does it cost please? 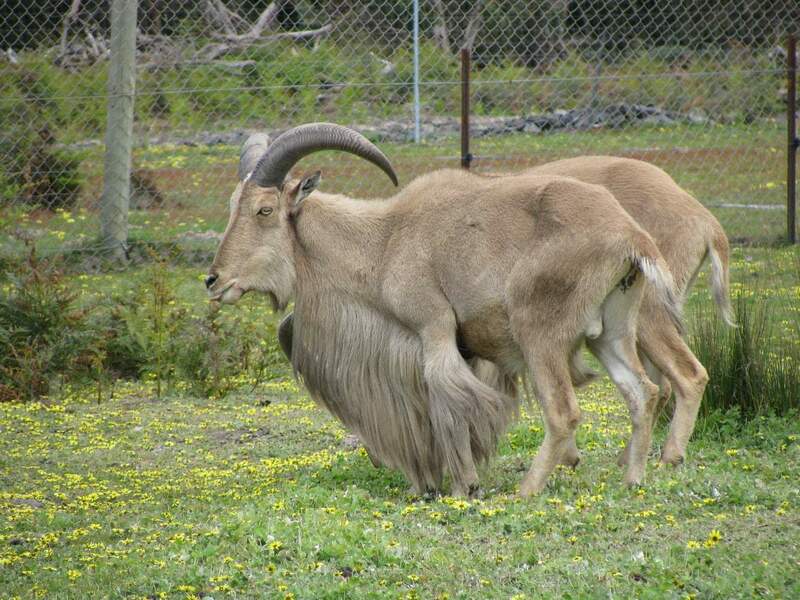 Otherwise, a regular ticket to the Zoo will provide you with admission only. 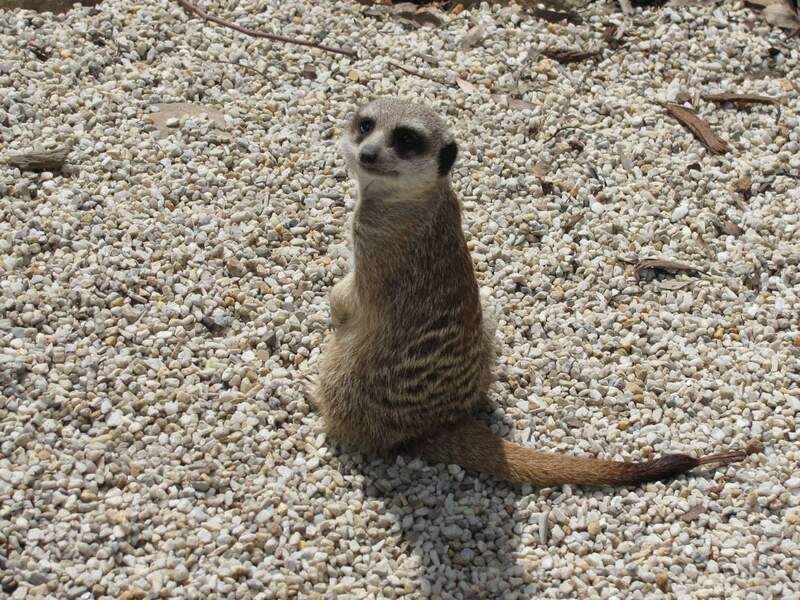 I have heard you can purchase a day pass that lets the children be zoo keeper for a day? 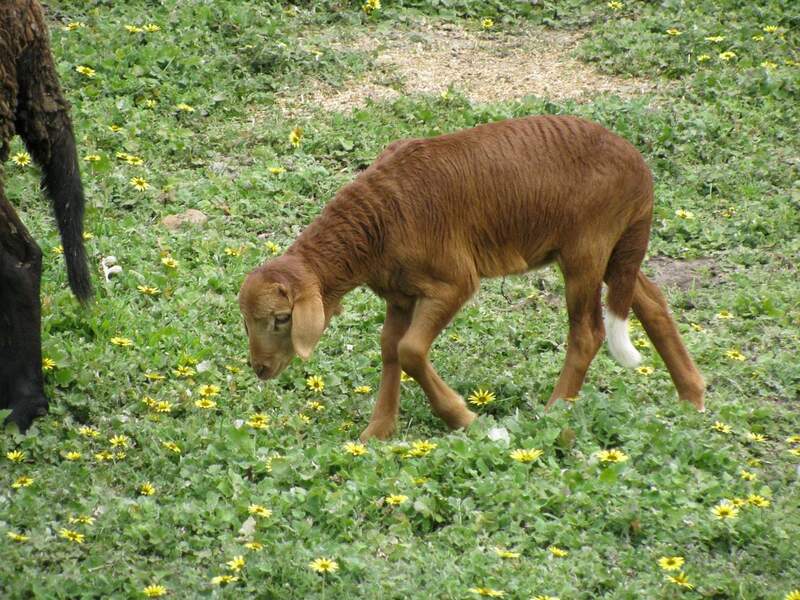 “Spend the whole day discovering what a Zoo keeper does. 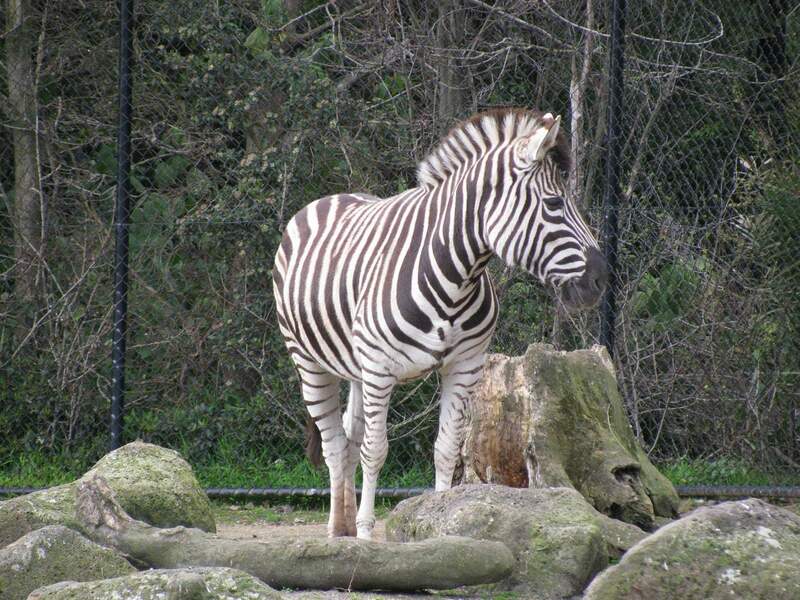 Assist in daily exhibit maintenance, preparing animal diets or enrichment and feeding the animals. 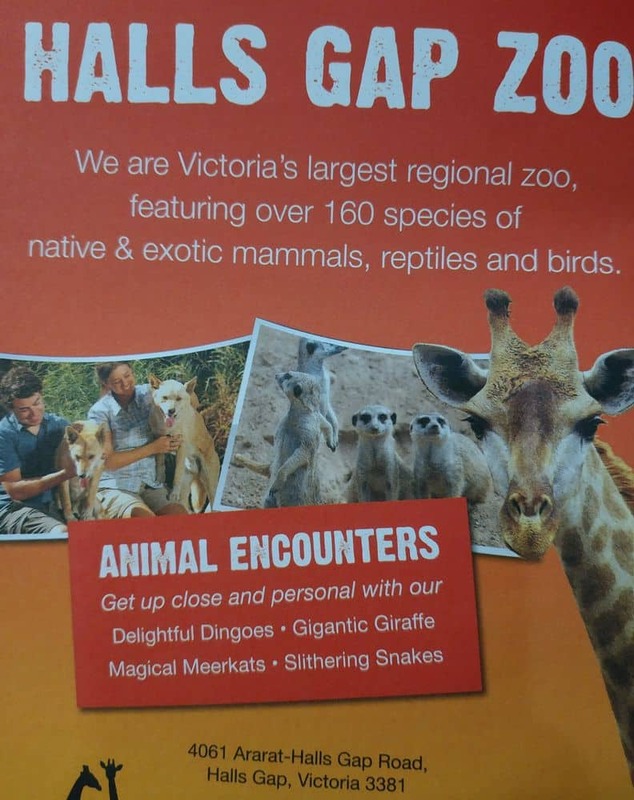 You can purchase the pass by contacting Halls Gap Zoo directly on Phone: (03) 5356 4668 or Email: info@hallsgapzoo.com.au. 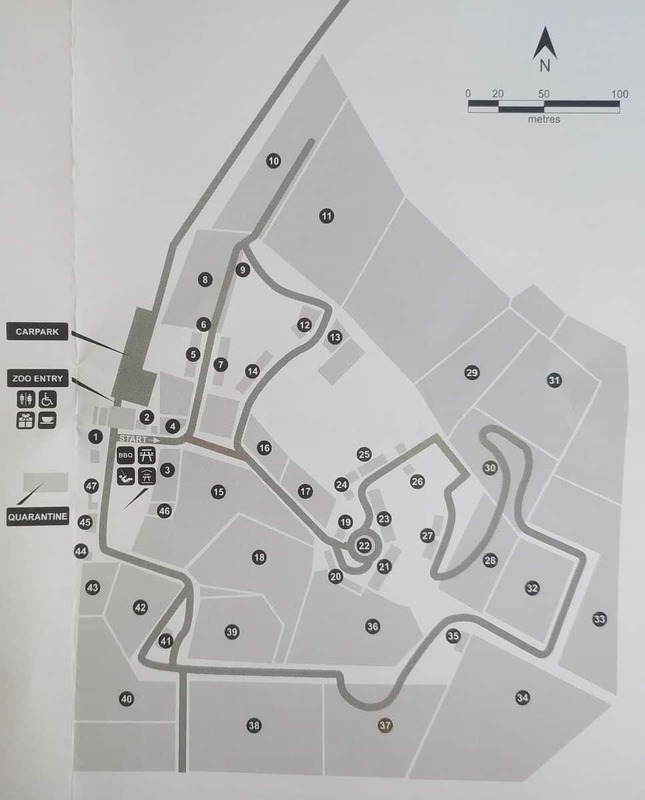 Are there things for children to do and play on ? 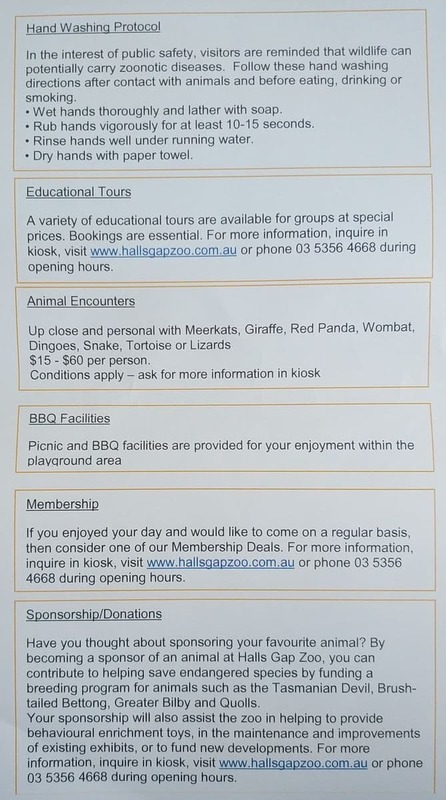 There are heaps of things for kids to do at the Halls Gap Zoo. 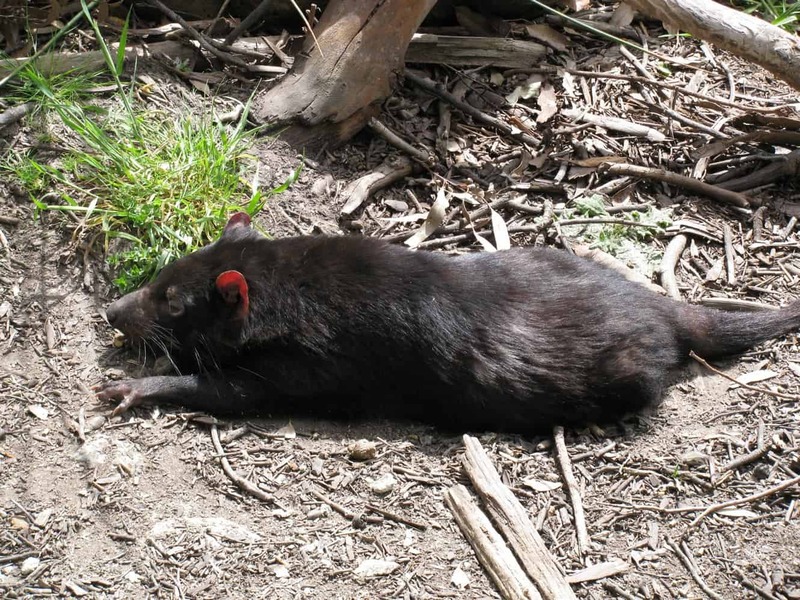 You can pat many of the animals, there are additional zoo encounters should you wish to purchase those, and there are some play areas for the kids near the picnic facilities. 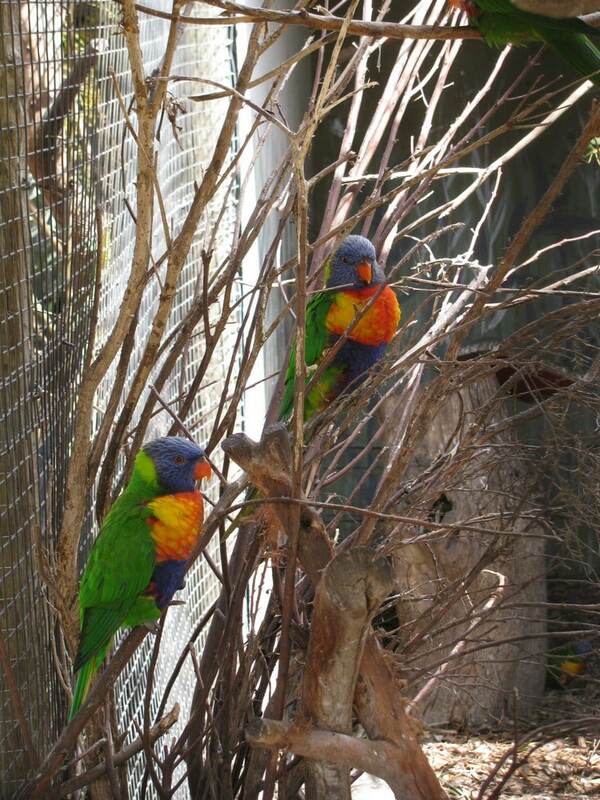 Have a great day at the Halls Gap Zoo!